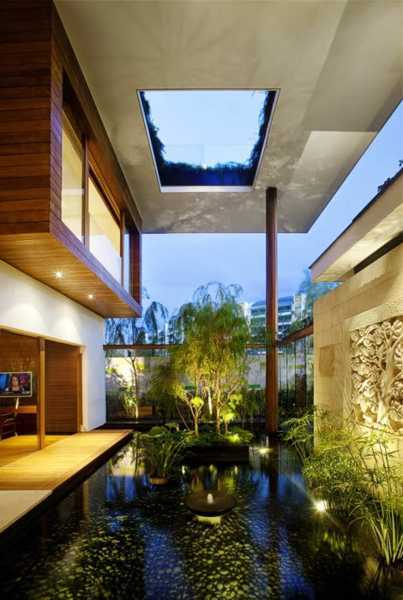 Modern interior design brings beautiful water features into home decor, creating peaceful and tranquil living spaces. Water is one of the most versatile and mysterious elements on the Earth and water features, like fountains and water gardens, pools and aquariums suit any interior design style. 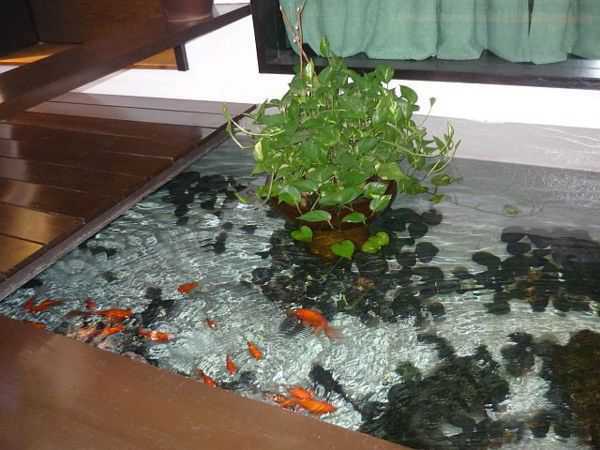 A water garden or a pond with koi fish and a fountain make gorgeous focal points of modern interior design and add to enjoyment for your guests and family, especially kids. 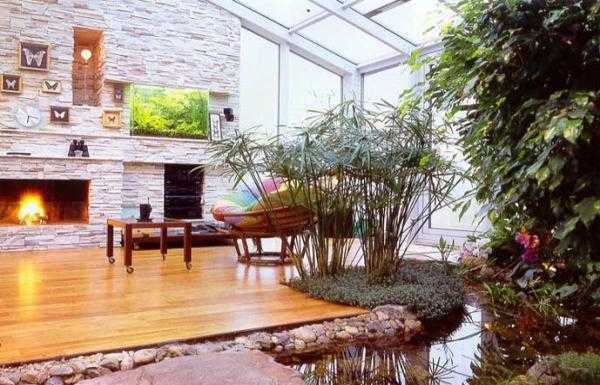 Small home fountains and water gardens, pools and aquariums make modern interior design look secluses and tranquil. Water features can beautifully decorate wall niches, adding a nice touches and completing modern interior design. Aquariums can be used as room dividers, creating functional zones in living rooms and private spaces in bedrooms. They are great for bathroom designs, hallway and entryway decorating. Fish aquariums Feng Shui home decor, balancing and harmonizing interior design and reconnecting people with the nature. 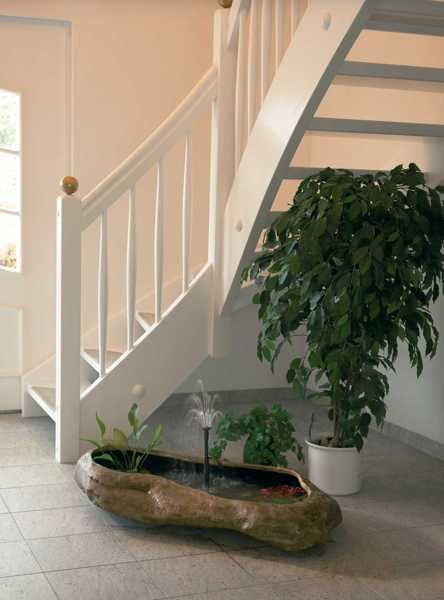 Small to medium sized water features enhance modern interior design and help relieve stress. They bring charm and elegance of the natural worls into home decor and help add a personal touch to modern interiors., making them look unique and luxurious. Small water fountains and aquariums make home office designs more productive and relaxing. Contemporary water fountains with soothing sounds create a pleasant, natural and organic atmosphere in rooms, beautifying your home decor.